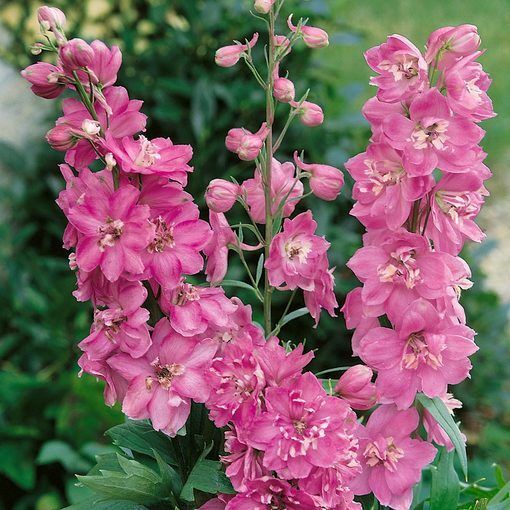 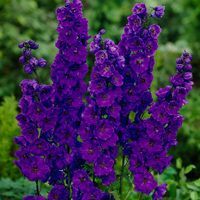 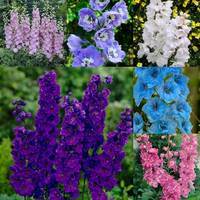 A must have traditional English Delphinium. 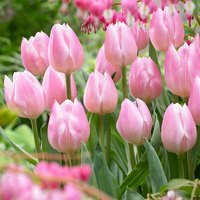 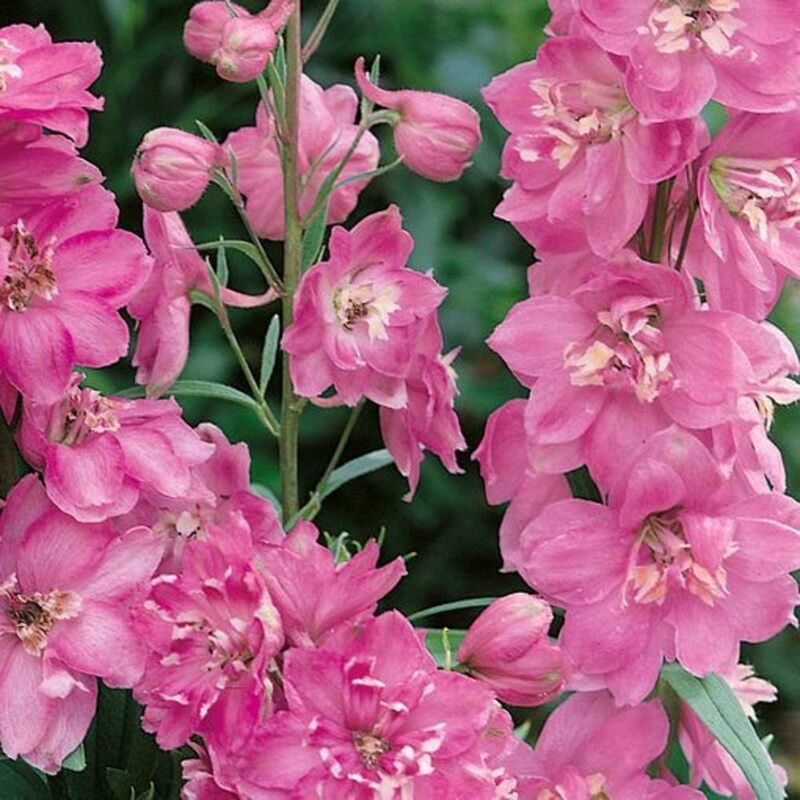 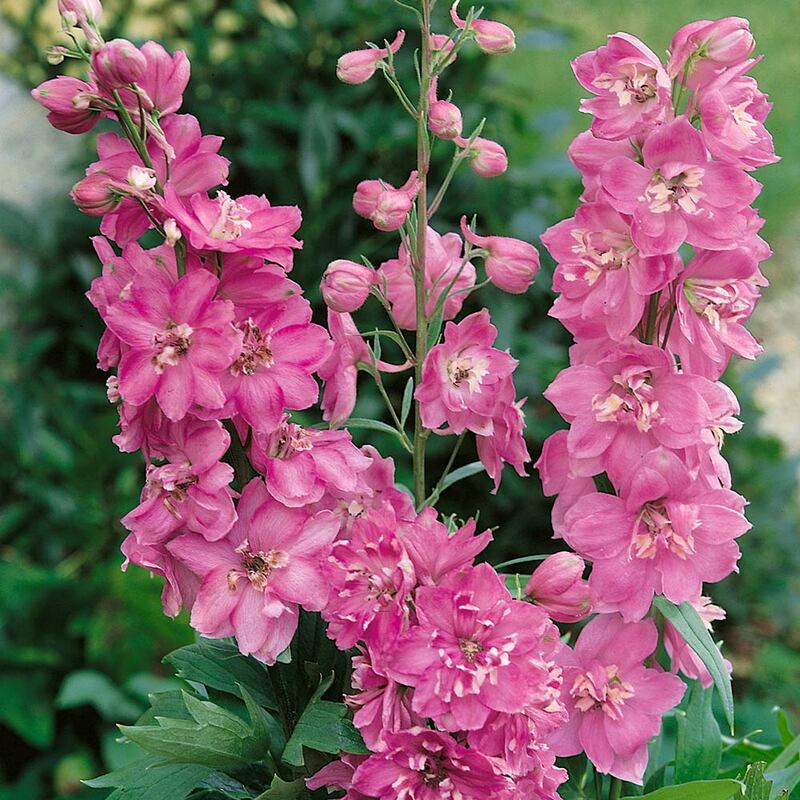 Semi-double pink blooms appear on tall racemes from June to September. 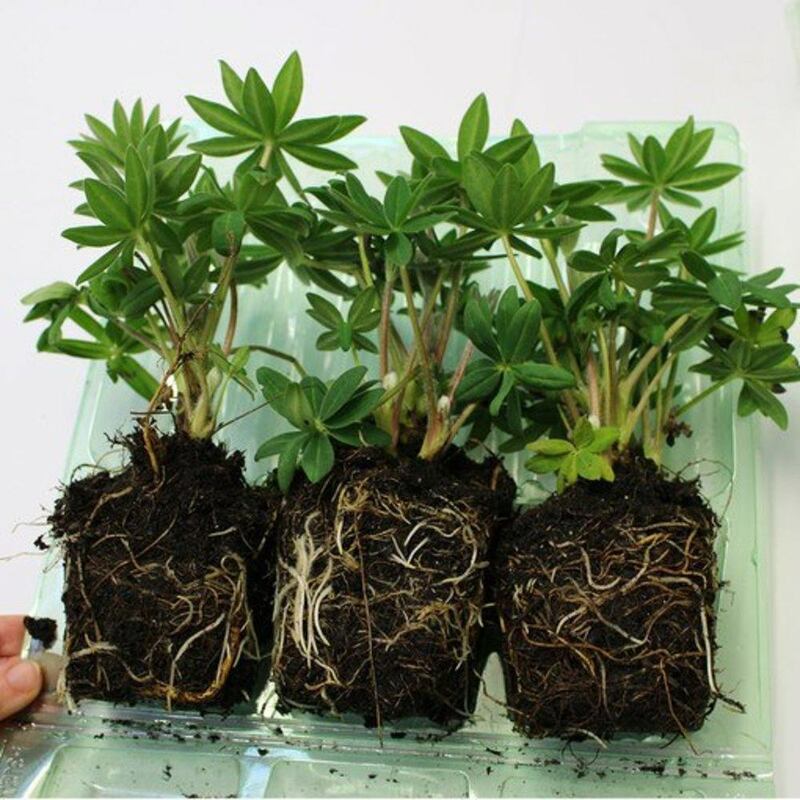 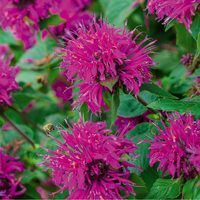 An excellent choice for cut flower displays. Mature height up to 1.5m. 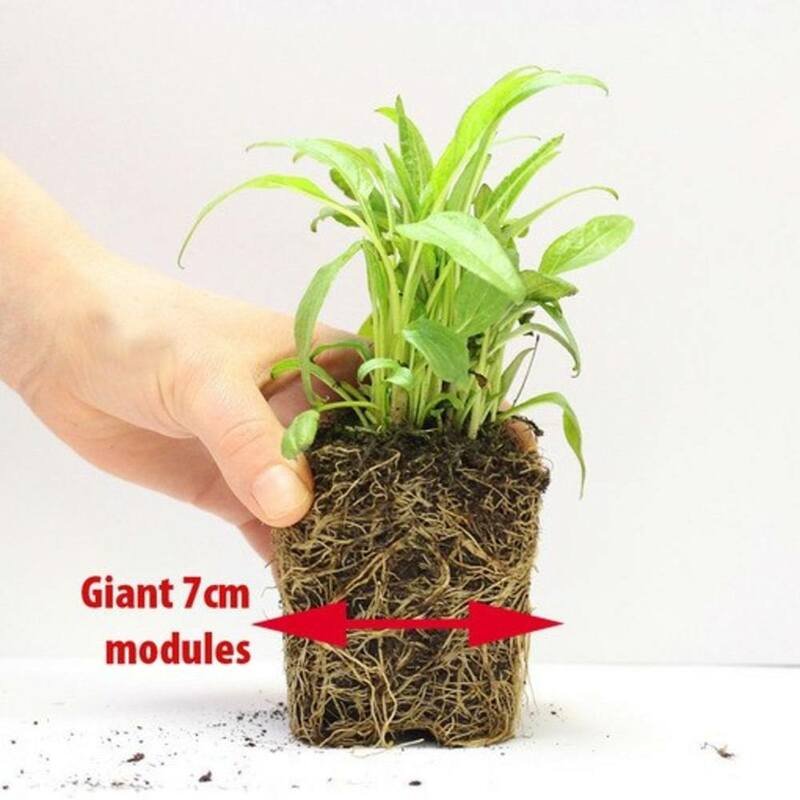 Giant 7cm diameter Power-modules supplied.